A large scrub fire in Wellington almost burnt 30 houses down in Happy Valley. Seventy residents had to leave their houses and sleep at an emergency shelter at Happy Valley School. 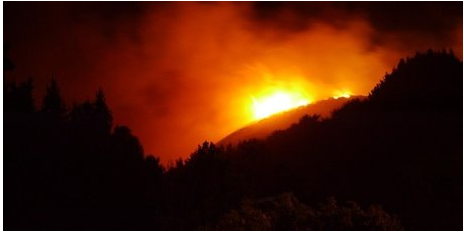 The large scrub fire happened Thursday morning at about 2am. The fire service assistant Brett Lockyer said they are still investigating on how the fire started. They know that someone had started the fire on purpose. I think that who ever started the fire should get punished hard. I hope that they find the person who did it. It won’t be a very Happy Valley anymore. 1. Are you pleased with your Silhouette painting? why / why not? 2. What did you find easy when you created your silhouette painting? 3. 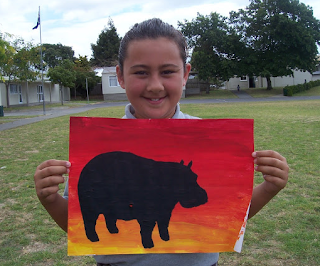 What part did you find tricky when you were creating your Silhouette painting? -think about blending of colours, tracing round your animal and painting within your animal. 5. What would you do differently next time? Think about: blending of colours, animal choice, presentation. This is my Personal Timeline. It shows you when I was born and the milestones in my life it also shows all the things up to this year. 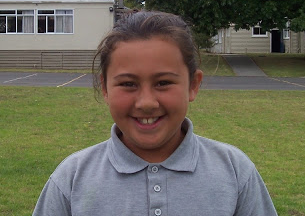 Kia Orana my name is Caitlin. I am 9 years old and my teacher is Miss Paton. This is my second year in Room 5. In my spare time I like playing sports-Netball Softball T-ball. My favourite food is Pizza. My favourite movies are Twilight and Pitch Perfect. Over the holidays I went to Mission Bay and Eastern Beach also we went to the swimming pools. In Room 5 I would like to finish my work in the time given.